This is the most common imaging test that has been used for decades to help doctors view the inside of the body without having to make an incision. Projection radiography is the practice of creating two-dimensional images (radiographs) using X-rays radiation. The X-rays was made public in 1896 with an image of the hand of anatomist Albert von Köliker. In the hundred years or so that followed, this basic X-rays technology has become a key element in the identification, diagnosis, and treatment of many types of medical conditions. 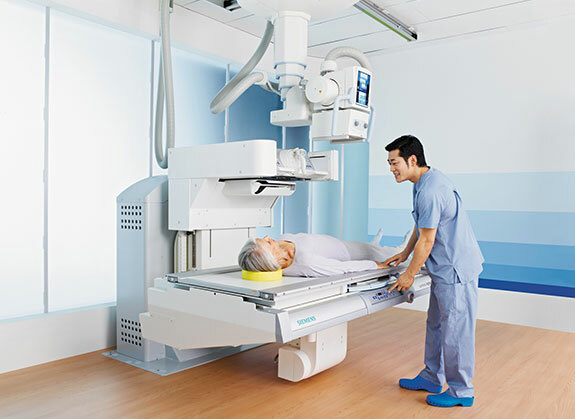 How does Plain Radiography work? Radiographs, also known as roentgenographs (named after Wilhelm Conrad Röntgen), are created by beaming X-rays through the patient. The insides of the patient absorb radiation at varying levels, depending on their densities; for example, bones are denser than surrounding tissue, so bones show up more on the images because they have absorbed (attenuated) more radiation. A capture device converts all the data into visible light and then creates an image. 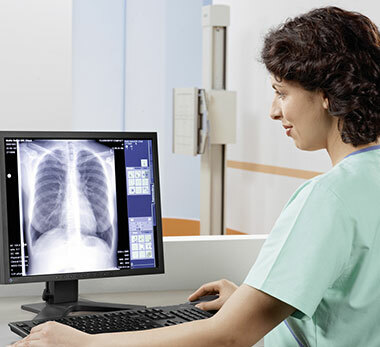 X-rays imaging provides fast, high-resolution images and is relatively inexpensive. The average examination for most plain film examinations takes no more than 10–15 minutes and requires no special preparation of the patient. The operator, usually the radiographer, selects the amount and type of X-rays to be used according to the patient’s size, the tissue or part of the body being imaged and the amount of image contrast required. Because movement, e.g. of the lungs and diaphragm, blurs the image, patients are usually asked to hold their breath during the exposure. The X-ray picture is stored on a piece of film called a radiograph. 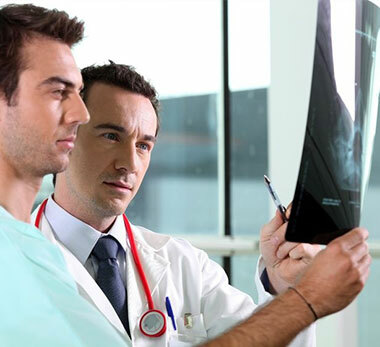 These are interpreted by a physician specially trained to interpret them, known as a radiologist.